Dr. Farren’s personal touch is evident the moment patients enter the office. The reception area is filled with Victorian furniture, and sunlight beams from an oversized bay window. It feels more like home than a waiting room. Dr. Farren also works closely with other dental specialists whenever it is in the patient’s best interest. “Sometimes what the patient needs is beyond my scope of care,” she says. In such instances, she works hand in hand with her peers to develop the treatment plan most suitable for her patient and maintains ongoing communication throughout the process to ensure the best possible result. Equally important, she and her staff are well versed when it comes time for her team to provide post-treatment and ongoing care. Diagnosis and treatment of periodontal disease is another area of focus for Dr. Farren. Patients are often unaware of these symptomless infections, which can destroy the gums and bones supporting natural teeth. Whether patients do experience symptoms, including bleeding, red or swollen gums, or have no apparent signs, Dr. Farren explains that proactive evaluation is important to avoid bone and tooth loss along with other medical conditions. Successfully creating great smiles is a joy Dr. Farren shares with patients both young and old, using some of the latest cosmetic dentistry techniques available. With the growing popularity of teeth whitening and any number of in-office or over-the-counter products, it can be hard to know which treatment is best. Dr. Farren uses an approach that combines an in-office procedure and a take-home kit to achieve the most optimal results for patients. The Sapphire bleaching system is one of the latest innovations in chairside teeth whitening in which natural teeth can become six to 10 shades lighter within 30 minutes. To further reinforce the outcome, patients are provided with, and instructed on how to use, a take-home bleaching kit after the procedure. According to Farren, many people don’t realize though that bleaching and whitening products only work on natural tooth structure. 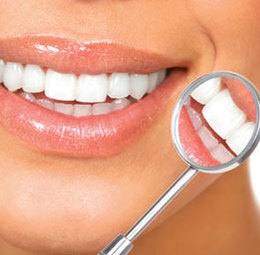 It will not have any effect on porcelain crowns or bridges or on the color of existing fillings. Conveniently located at 1908 Springdale Road in Cherry Hill, Mary Farren, DMD, LLC Family & Cosmetic Dentistry schedules appointments Monday, Tuesday, Thursday and Friday with varying office hours from early morning through evening to accommodate patients’ busy lives. Dr. Farren also offers a 24-hour emergency service. For more information or to schedule a visit, call (856) 751-6606 or visit MaryFarrenDMD.com.